Once you get in the house, the first thing that you will notice is the walls, as they occupy the largest surface area in a room. The designs on the wall will either attract or bore the visitors who will get in your house. This because, no décor can light up the room the way designer walls would do. Need a beautiful look on the walls of your house or office? 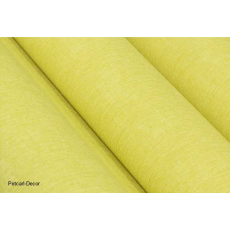 Yellow embossed wallpapers will give your house a new and a cheerful look. Wallpapers gives you a chance to enhance a room through the wide variety of patterns, textures and styles. If you happen to love color, then embossed wallpapers will be of great help. Are you looking for a shop where you can purchase modern and affordable embossed wallpapers? Petcarl-Décor is a reliable shop that you trust to provide you with what you are looking for. These wallpapers gives a personalized style to the rooms which makes the house look unique.